Did you know that it’s easy to make your home, business, or building project more energy efficient? 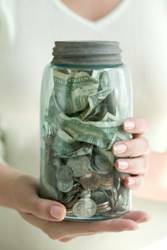 Did you know that you can actually save money by doing so? In fact, you can start saving right now by taking advantage of the multitude of incentive programs currently being offered. Whether you’re installing solar panels, purchasing energy efficient equipment and appliances or simply wanting to save money on your utility bill, it pays to go green. Thinking about a home improvement project, or maybe just looking at ways to reduce your utility bill? Chances are there’s a program that can help. Energy Upgrade California:Energy Upgrade California® is a state initiative to help Californians take action to save energy and conserve natural resources, help reduce demand on the electricity grid, and make informed energy management choices at home and at work. Federal Stimulus Package Funds – Weatherization Program: Households that qualify can have as much as $6,500 for energy efficient improvements to their home. Go Solar: Go Solar is a program sponsored by the California Public Utilities Commission and Energy Commission and provides a variety of rebate programs. If you’re thinking about installing solar panels on your home, this page is a must! Use this simple tool to calculate the potential annual savings of going solar. Community Energy Partnership: The Community Energy Partnership (CEP) is a partnership among ten Southern Californian cities, Southern California Edison, The Gas Company, and The Energy Coalition. Its mission is to build positive relationships among cities, energy consumers, and their serving utilities, and to educate communities about sustainable and efficient energy practices. Save Money on your Utility Bills: In these tough economic times it makes more sense than ever to cut costs wherever you can. Southern California Edison and The Gas Company provide several programs that can help! CARE/FERA: Residents who qualify for this program can save 20% or more on their electric bill. Summer Discount Program: Get up to $200 in credit on your electric bill for this simple, free program. Pool Pump and Motor Rebates: Get up to $200 back by installing qualified pool pump equipment. Rebates and Savings on Lighting: Install ENERGY STAR lighting and save. Tips on Reducing your Electric Bill: These tips will help you save money and help protect the environment at the same time. It’s easier than you think! React with Impact: Save money and help California conserve precious resources for generations to come! Rebate Programs from The Gas Company: Save money by reducing your monthly gas bill. Energy Efficient Tax Credits: Are you considering a home improvement project? Did you know you can qualify for a 30% tax credit on solar panels, windows, doors, insulation, roofing materials, water heaters, and air conditioners? These programs are available for a limited time, so act now! Take Advantage of Tax Credits: The National Association of Home Builders has information on energy tax credit programs and how you can qualify today. Products that have received the Energy Star rating will help lower your monthly utility costs and protect the environment at the same time, proving that it pays to go green. Finding one that suits your needs is easy! Product Catalog: This easy to use catalog provides information on products, where to find them and how much money you could save over less energy efficient products. Rebate Finder: Use this tool to find special offers and rebates on a variety of products. How Energy Efficient Are You? This simple calculator will provide you with strategies to help you enhance energy efficiency. Interactive features customize these strategies for your own home. Locate an Energy Auditor: Find a local Home Energy Rating System (HERS) inspector to conduct an energy audit of your home. Home Improvement Projects: Get all the information you need on how ENERGY STAR products will help you save money when used in your home improvement projects. Home Tour: Take an interactive tour of a model home to see how simple home improvement projects can help you save money. React With Impact this summer! In Santa Clarita, it costs more to produce electricity in the summer than in the winter because energy demand peaks. “Peak” demand typically occurs between noon and 6p.m. when the most energy is consumed. During the summer months, the use of air conditioners significantly increases between noon and 6p.m. – the hottest part of the day. The City of Santa Clarita and Southern California Edison are partnering to help you to React With Impact. By making simple changes to your daily routine, you can save money and help California conserve precious resources for generations to come! Implement these simple, free tips and start saving now on your next energy bill! Shift energy usage to “off peak” hours – before noon and after 6 p.m.
Run your dishwasher and clothes washer only when fully loaded. Use a power strip to decrease energy usage with one flip of a switch. Even if turned off, electrical items still use electricity when plugged in. Turn off lights when you leave a room and in unoccupied spaces. Set your thermostat a few degrees higher this summer. You probably won’t notice much difference other than your lower utility bill! Spread the word – share these tips with family members and friends! To learn more, visit sce.com. The days are getting shorter, the nights are getting cooler, and you may be starting to turn on your furnace for the first time in months. Heating appliances should be serviced annually and checked for proper operation. 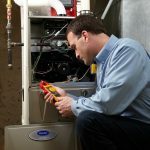 A qualified heating contractor, plumber or SoCalGas can provide this service. Failure to perform annual maintenance on gas appliances may result in exposure to carbon monoxide, which can cause negative health effects like nausea, drowsiness, flu-like symptoms, and even death. Since space heating typically accounts for more than half of a monthly winter gas bill, the best way to keep bills lower is to get gas appliances serviced. Have gas furnaces checked at least once a year by a qualified heating contractor, plumber or SoCalGas. Vacuum and clean regularly in and around the furnace, particularly around the burner compartment to prevent a build-up of dust and lint. Never store items in, on or around the appliance that can obstruct airflow. Most forced-air units have a filter that cleans the air before heating and circulating it throughout the home. The filter should be checked monthly for lint build-up during periods of furnace use and cleaned or replaced, if necessary. When installing a new or cleaned filter, be sure to re-install the front panel door of the furnace properly so it fits snugly. Never operate the furnace without the front-panel door properly in place. Doing so may create the risk of carbon monoxide poisoning. Check the appearance of the flame. If the flame is yellow, large and unsteady, the furnace needs to be inspected immediately by a licensed heating contractor, plumber or SoCalGas to have the condition corrected. Never use ovens, ranges or outdoor barbecues to heat a home because these appliances are not designed for such use and pose a severe and potentially fatal risk of carbon monoxide poisoning if used for space heating. Remember, the time for your furnace maintenance check is before the first big cold snap. Avoid the rush by scheduling your service appointment today. For more information on furnace safety or to schedule a FREE service appointment, please visit the SoCalGas website at socalgas.com. * This program is funded by California utility customers and administered by Southern California Gas Company and Southern California Edison under the auspices of the California Public Utilities Commission.